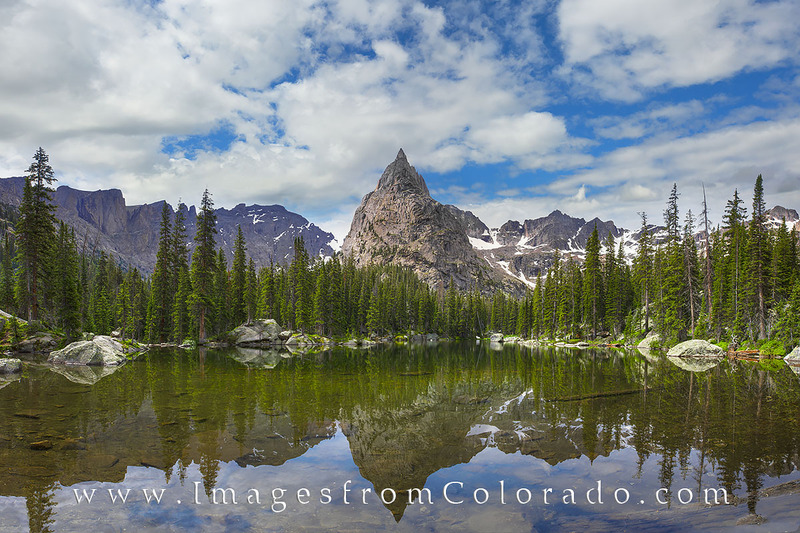 This panorama from the Indian Peaks Wilderness in Grand County shows the stunning Lone Eagle Peak as its reflection shimmers in Mirror Lake. After an 8 mile hike originating at Monarch Lake and following beautiful Cascade Falls, we finally reached this amazing and remote wilderness. Comprised of nine images stitched together to show the wide angle beauty this is found here, this photograph attempts to capture the solitude and reward of a long trek. Photo © copyright by Rob Greebon.